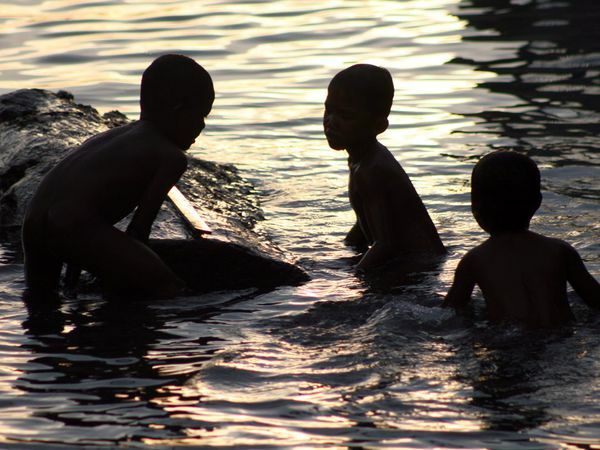 Today is World Water Day (UN)! Who created World Water Day and why does the world celebrate it from year to year? Over the next few weeks and months, I will be writing predominantly about the topic of water, what people around the world are doing with water, and the undeniable crisis that surrounds it. Water holds a special interest in my heart, so I look forward to sharing with you my take on all water-related the tidbits, research articles, reports, photos, videos, journals, documentaries that I find on the internet and around the world! 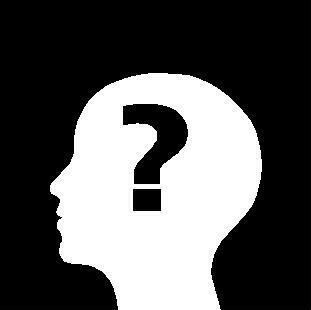 Ask yourself, and answer to yourself! Or better yet, answer to the world! Share your thoughts with your friends, with your family! And feel free to share your thoughts in the comments box. Maybe we can start a discussion! Spend a minute in a test tube with David Suzuki! Yesterday, I found an awesome 'thing' (I'm not exactly sure how to describe it without spoiling it) called 'Spend a minute in a test tube with David Suzuki'. It's a short but powerful experience. I can't say much without spoiling it, but if you've got one minute to spare, I would definitely check this out, because it will probably change you. Then pass it onto your friends because it is exciting! And it only takes one minute to complete. 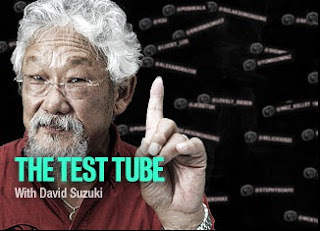 Click here, to spend a minute in a test tube with David Suzuki! Dealing with Water Usage in Canada's Oilsands: "There is no system"
Hope everyone is enjoying their winter holidays. I wanted to post this recent article about the water system (or lack of a real one) used at the Oilsands in Alberta (essentially the Canadian Oilsands). As we know, water usage, conservation, and preservation is a very crucial issue not only to all the people living in Canada but all the people living around the world. Please take a read at this news article by CBC, and form your own conclusions and opinions! If you stick around, I have a few words to say after the article. The Oilsands Advisory Panel, appointed by former federal environment minister Jim Prentice, made its findings public in Ottawa on Tuesday in a joint news conference with current Environment Minister John Baird, who promised to act on the panel’s recommendations. The panel’s chair, Elizabeth Dowdeswell, was critical of a piecemeal approach to water quality monitoring, saying the system is fragmented with no links between data on water quality — including ground water — and air quality. She also said there is no reliable longitudinal data that would give a solid understanding of the environmental impact of the oilsands. “There is no holistic and comprehensive system. There is no system,” said Dowdeswell, president of the Council of Canadian Academies and former executive director of the United Nations Environment Program. “The panel was unanimous: Do we have a world class monitoring system in place? In short, no. However, we could have,” she said. The panel underlined a critical need for a new governance structure including an inter-jurisdictional steering committee, an external scientific advisory committee and sufficient resources to follow through. Dowdeswell did not cast blame. “It’s not that anybody has had any particular ill will,” she said. Rather, the present regime of water quality monitoring has just grown up as a very piecemeal system. She was one of six experts appointed to the panel in September and given a mandate by the federal government to review water data in the oilsands and make recommendations on the monitoring system. The other panel members were Peter Dillon of Trent University, McGill University's Subhasis Ghoshal, Andrew Miall from the University of Toronto, Joseph Rasmussen of the University of Lethbridge and Queen's University's John Smol. Prentice convened the panel in response to criticism about water monitoring in the Athabasca watershed in northern Alberta. In particular, a peer-reviewed study published by University of Alberta water scientist David Schindler found elevated levels of cadmium, mercury, lead and other toxic elements in the Athabasca River. This contradicted provincial government and industry scientists who claimed the toxins were naturally occurring. Despite previous federal claims that the oilsands are properly monitored, Baird said on Tuesday that his government accepts the panel’s findings and will act on them. "We've heard the panel loud and clear and are ready to act…. We accept this responsibility and will ensure our monitoring systems are properly and securely in place,” said Baird. The minister said he has already directed senior officials to create a water quality monitoring plan in co-operation with the provincial government within 90 days. Once that is complete, he said the government will ask for scientific input to assess the plan, after which it will be implemented. He said monitoring data will be made public at no charge. The government plans to use same process to examine air quality and biodiversity in the oilsands region, Baird said. 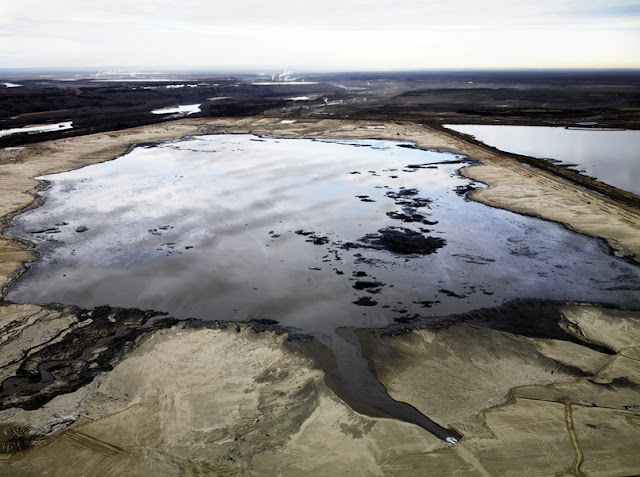 On Monday, Alberta Environment Minister Rob Renner said his province is changing how it monitors water in the oilsands. He announced that a group of independent experts will gather in January and report to the province in June on how to best set up an environmental monitoring system. He said the expert group will guide the province on how to implement recommendations from both the federal and provincial panels. In September, Alberta announced its own panel of independent scientists to review the oilsands water quality monitoring system. It is due to finish its report in February. Regarding the oilsands, it is especially necessary for all measures in minimizing environmental disturbance to be taken. One probably cannot believe just how much water is used and used and used to process the oil. Now, because Canada currently is so reliant on the operation of the Oilsands, overseeing parties such as the government and the operating companies must be more than responsible for their day to day actions. There is no hiding from that. Until the day when they are forced to ween off from using the Oilsands, responsibility for the entire environmental issue spectrum is number one. In general, the Canadian government needs to be much more prudent and responsible with what they do for the environment. Right now, we are witnessing the Canadian federal government focusing almost solely on the economy. Undoubtedly, improving the economy should be a top priority, but if the government made the environment as much of a top priority as the economy in terms of rigourous planning and investment, we would probably have a healthier economy, too. It comes down to not only the direct connections between environment and economy, but the intricate and infinite relationships between humans and the environment - ecosystem health. If the health of an ecosystem is optimal, it leads to a healthier community and stronger performing economy. 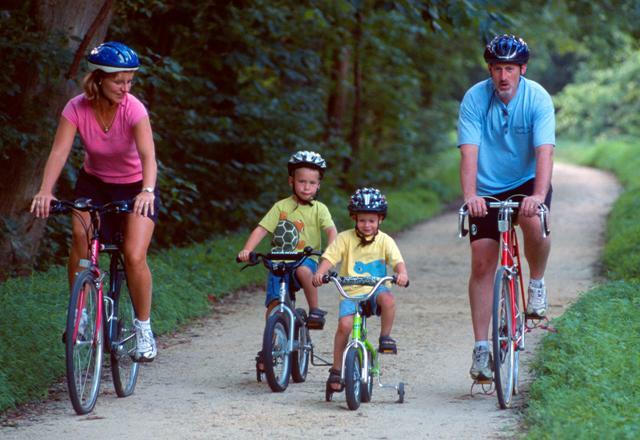 I strongly believe that a healthy environment is a healthy community and healthy economy. Higher ups in the government just overlook this. What can you do? It's hard to deal with some upper level issues like this one, but citizens in Canada and around the world can and must just continue to voice themselves to press their governments to demonstrate more environmental conscientiousness. Don't quit trying if you care. I returned home for this weekend, and was absolutely in love with the pleasant autumn weather. So I thought, what better to do then spend some time enjoying the beauty of the Canadian outdoors? 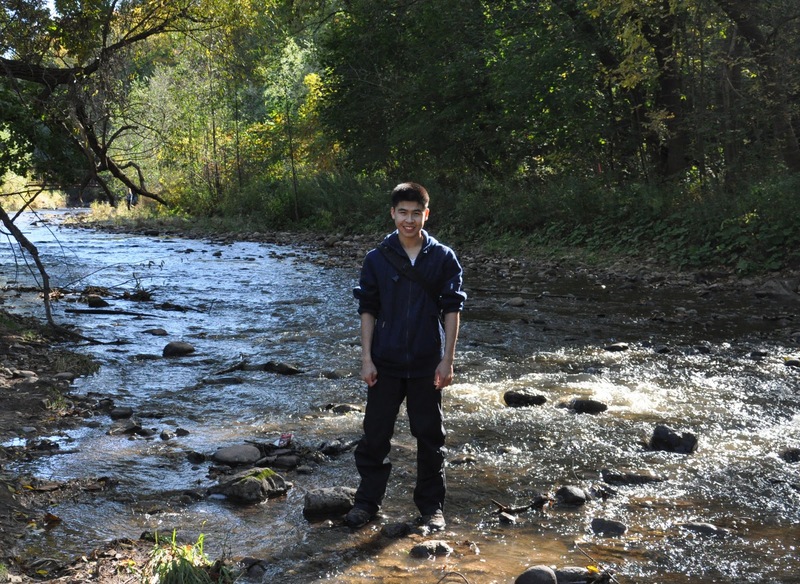 With one of my best friends, we decided to go to Hidden Valley Park in Burlington to observe the seasonal Chinook salmon that are currently running up the rivers and spawning. When we got to Hidden Valley Park, we ventured through some brush to get to a shallow, somewhat narrow stream. We were suddenly amazed to see at least a dozen large Chinook salmon attempting to swim further upstream! Chinook salmon are an anadromous fish species, meaning live in the ocean mostly, and breed in fresh water. They are native to the Pacific Ocean, but some were planted in the Great Lakes in the 1970s to control the population of an invasive species known as the alewife. The Alewife, an invasive species to the Great Lakes. So, the Chinook salmon are currently passing through the rivers of Southern Ontario, upstream to larger, deeper, and safer spawning grounds. Their nests (called redds) are the place where females they lay hundreds of eggs that will be guarded by the female fish for several weeks before they die. At the same time, the males mate. Returning to what we saw during our outing, we soon wondered why the salmon hadn't moved upstream at all after several hours. Then, as we looked upstream, we noticed a very major problem that confronted the salmon, and that was the existence of a beaver's dam blocking the entire width of the upstream. With the dam there, the salmon could not go any further upstream. This troublesome situation prompted us to go and investigate the beaver's dam. You may be wondering what we saw once we got there. Luckily, I brought my camera with me, so I actually ended up making a short documentary to capture the amazing action that we witnessed. Now you may be thinking, "it's just a beaver dam, how could there be any 'amazing action' "? I'm talking about watching people getting their hands dirty to make real grassroots action to solve a problem. Please watch the short video below to find out what one man (and some very motivated youth) took upon themselves to save hundreds of future Chinook salmon, and in doing so, preserve, support, and respect one of millions of species of wildlife. This is just one incredible example of the kinds of people that we have in our communities; people who take action and do good deeds when no one is necessarily looking. I hope that, by reading this story and watching the video, you have been inspired even a little bit more to become a person who takes the time to help the world become a little better - healthier, cleaner, safer, happier - through your own personal actions. Post-Arctic Expedition! The Photo Album! It was a beautiful, life-changing, eye-opening, very real, and at times shocking experience. hopefully soon, and with a renewed sense of purpose. That was a little snippet of a journal entry about how I felt right after the expedition upon returning to the urban world. Well, it's been quite a while since I last wrote a post, dating back to pre-Arctic expedition times. Well, I thought it is definitely worthwhile (and quite overdue) to share with you my Arctic expedition photos by now! My original vision in sharing my experience on my blog was to post my authentic expedition log accompanied by these photos, but I have not gotten around to doing so as of yet. Please still enjoy and appreciate these photos in the link below. But remember, photos only capture what is seen through the lens. It is difficult to really know what the Arctic is like, and what is happening there without actually planting your feet on that soft tundra moss, looking up with amazement at the dancing Northern Lights, smelling the pristine and wholesome air of the Arctic, tasting that Arctic char (an Inuit staple food), or...listening to the chorus of hundreds of walruses as they (roar?) ! I hope, however, to soon share with you what it is like to embrace the Arctic's spectacular elements with all five senses through my writing, documented videos, and more. Click here to see my Arctic Expedition Photo Album! Today I would like to share with everyone that I have the very special privilege of joining Students on Ice as one of the participants of the Students on Ice 2010 Arctic Expedition! This expedition, happening from August 4th - August 20th, 2010 involves a ship-based journey encompassing regions around Nunavik and the Eastern shores of Baffin Island. The team on the expedition includes 79 youth. These 79 members include youth from every region in Canada, 25 aboriginals, and youth from around the world- China, Monaco, Norway, and the United States. Also embarking on this expedition are 35 scientists, historians, artists, Inuit elders, explorers, authors, educators, leaders, innovators, and polar experts. The year 2010 is a very important year. We all join together in celebrating many important year-long events, including the: International Year of Youth, 2010 International year of Biodiversity, Year of the Inuit, and continuing on the legacies of the International Polar Year. During each and every moment of the expedition, I will open their eyes wide to deeply appreciate the stunning wildlife the Arctic region has to offer. Wildlife certainly includes: whales, seals, walrus, seabirds, and of course, polar bears. The expedition also involves meeting and spending time with local Inuit communities to learn and appreciate their culture and way of life. Equally if not more valuable are the lessons to be learned: grasping the real effects that climate change on the Arctic ecosystems, connecting and integrating scientific knowledge with social implications, and participating in very real research relating to sciences such as glaciology and climatology. I will try my best to respond to you! By now, the world should be well aware of the destruction that has been going on in the Gulf of Mexico - that is, the extremely large crude oil spill caused by a broken British Petroleum (BP) oil well in the middle of the ocean. Every day we keep on reading the news about the 'progress' BP is making to stem the leak. What progress? I put the word progress in quotations because there really hasn't been much progress. The truth is, it is very difficult to cleanse a GULF of water that has been choked with hundreds of millions of litres of oil. Undoubtedly, this event is a very serious issue and the future of oil drilling and oil exploration must be re-evaluated constantly. I shudder when I hear that oil exploration is happening in the Arctic. As I said earlier, we keep reading the news about the oil spill. But information and opinion on this tragedy is not contained to only the news. It has leaked to many different media, from concerned citizens making their own youtube videos in offering their own solutions to stop the oil spill, to blogs and much more. I found a youtube video today that I would say is a very truthful representation - a comedic parody - of how British Petroleum and other parties have handled the situation thus far.